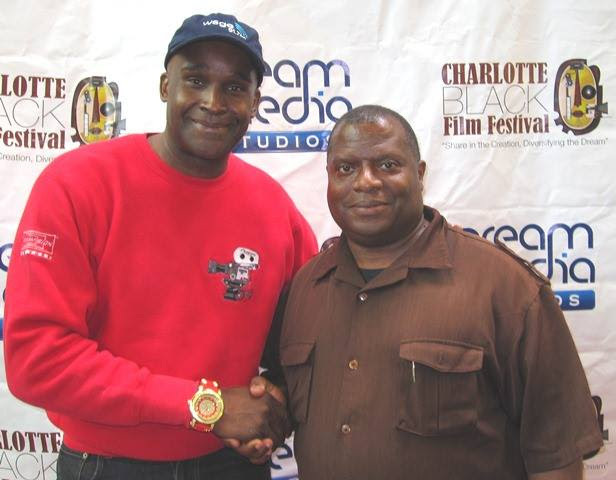 Morning radio personalities BJ Murphy and Tim Greene recently served on panels at the Charlotte Black Film Festival held at The Charlotte Convention Center. Over 30 films were screened at the 3 day festival saluting films made by African American Filmmakers from around the world. Check out more photos and videos from the Charlotte Black Film Festival [...] event where their mission is to create economic empowerment for, heighten awareness of, promote the significance and need for African American cinema as an art form, and to be a voice for independent filmmakers of color. Very impressive.